You may love Gran Turismo. I don't play them. Just not my thing. But when I see Gran Turismo 6 running in the corner of a Sony PlayStation event in Santa Monica, I ask the only GT-related questions I can think of. And here's the most casual-fan GT6 question I could have asked: What are you doing with car damage in this one? (You know, because Gran Turismo used to not have it, whereas you can smash cars up in rival series.) Answer: The rather pleasant producer tells me that it'll be similar to GT5. Polyphony isn't about smashing cars up. They like when people see the beauty of beautiful cars. They'd added some car damage effects in the previous game because people asked. The gap between Gran Turismo 4 and 5 was infamously wide. 2004/5-2010. The gap between 5 and 6, which is coming out at the end of this year, is narrower. Why is the gap between GT games narrower this time? Did Polyphony change their process? Answer: The kind producer tells me... yes. 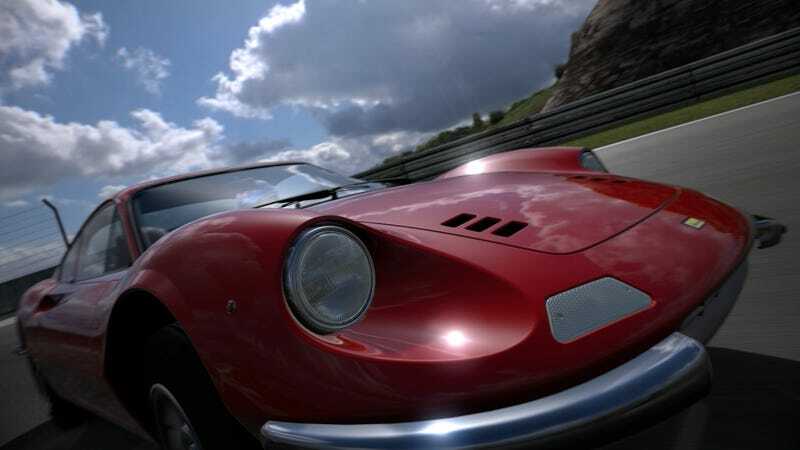 Polyphony will release a good game, but they'll also now add a lot more to it post-release instead of adding and adding before release which used to result in delaying and delaying. Sound good Gran Turismo, fans?